Students at Project Limón at the water fountain! "Water holds the key to sustainable development, we must work together to protect and carefully manage this fragile, finite resource," said Secretary General Ban Ki-moon on the occasion of World Water Day on Water Cooperation. Water is a vital resource for everyone – for drinking, cooking, cleaning, and bathing. However, when that water is not safe for consumption, the health of many is compromised. At FIMRC’s clinic sites, water plays an important role in the health of communities surrounding each site. According the Centers for Disease Control and Prevention, water cooperation can aid in eradicating poverty, improve social equity and gender equality, benefit the economy, protects the environment, and build peace. At FIMRC, access to clean water and sanitation means improved hygiene and decreased risk of disease such as parasites. This year, our Chapters pledged support for projects of their choice through our Adopt-a-Project Initiative. Clemson University and University of Pennsylvania both sponsored projects for families with scarce resources to get water filters to prevent dengue fever and malaria. With two outbreaks of cholera near our newest site, Project Restauración, Notre Dame is sponsoring latrines for the clinic while Field Operations Manager, Joe South, is working on a prevention strategy to ensure that there are no new outbreaks. This World Water Day, we are so thankful for our Chapters taking on the task of improving access to clean water at our sites, however, there is still much work to be done. For information about how to Adopt-a-Project to improve water quality at our sites, contact FIMRC at info@fimrc.org. 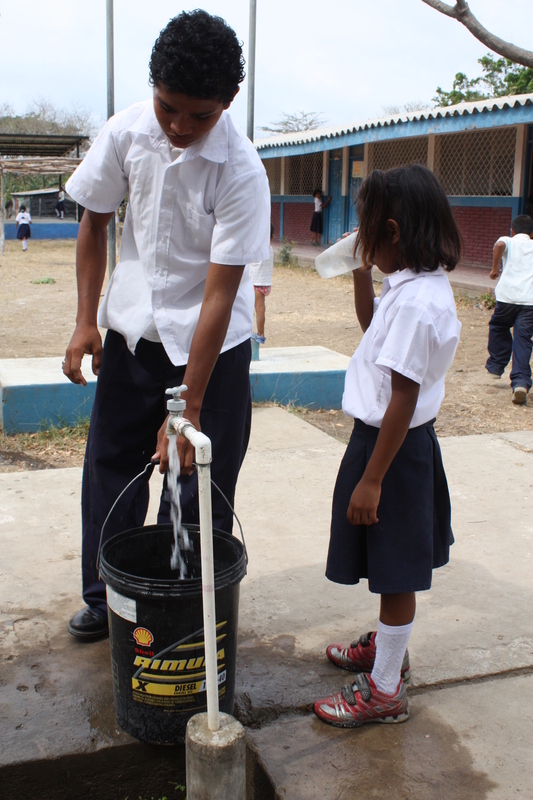 A health education lesson at Project Limón highlighting the effective use of water filters! Little boy at Project Kodaikanal during a hand washing health education lesson! Little girl at Project Limón standing on the Well Project Adopted by University of Minnesota in 2011-2012. Former health education coordinator, Yanira, washing her hands thanks to the Well Project Adopted by University of Minnesota in 2011-2012 at Project Limón. Posted on March 22, 2013 by FIMRC and filed under News from the FIMRC Field and tagged World Water Day Water Global Health.